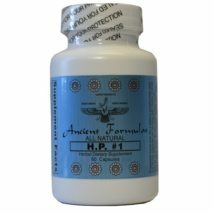 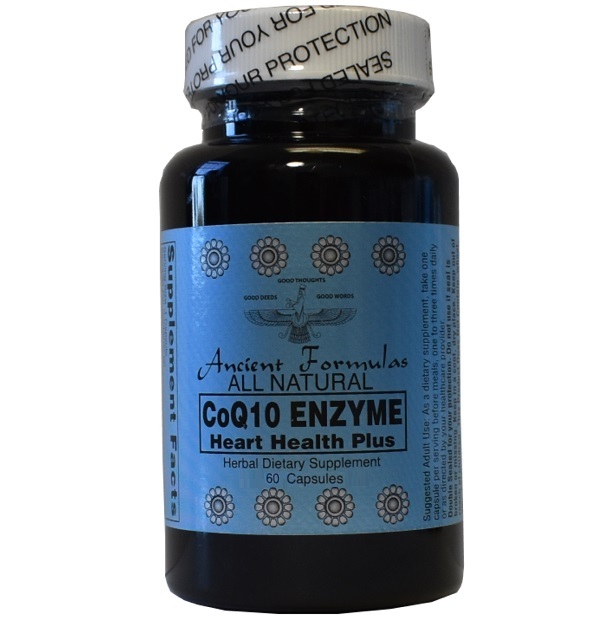 CoQ10 Enzyme Heart Health Plus - Ancient Formulas, Inc.
CoEnzymeQ10 is produced naturally in the body, but the body’s ability to produce this declines with age. 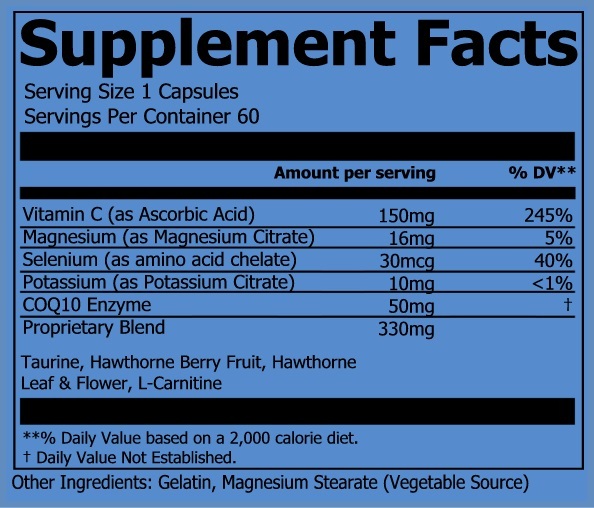 The best sources of CoQ10 are whole grains, oily fish and organ meats, such as beef heart, liver or kidney. For some, supplements are of particular importance so we guarantee the quality of our product using the CoQ Enzyme fermented to produce ubidecarenone. 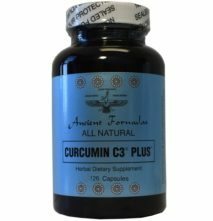 Our formula also contains Magnesium, Selenium, Vitamin C, Potassium and a special blend of herbs to help support the cardiovascular system. 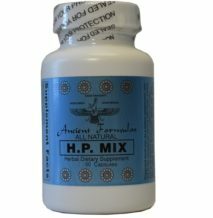 Proprietary Blend: Taurine, Hawthorne Berry Fruit, Hawthorne Leaf & Flower, L-Carnitine.